Sony's 11-inch XEL-1 OLED TV is a good deal smaller than what DuPont envisions. Dupont has developed a printing process that can produce large OLED displays in less than 2 minutes. OLEDs--or Organic Light Emitting Diodes--are small solid-state devices that have an organic film over the light emitting material. DuPont says that this manufacturing process can print a 50-inch OLED display in less than 2 minutes. According to Technology Review, printing displays is difficult to do reliably, but DuPont says that its process is reliable and that the displays should last 15 years. The manufacturing technology was developed by both DuPont and by Dainippon Screen. Dainippon Screen manufactures “semiconductor equipment for lithography coat/develop and wet cleaning/etching processes” and equipment for semiconductor wafers. DuPont will use the technology to scale up to larger displays because of its reliability and low manufacturing cost. 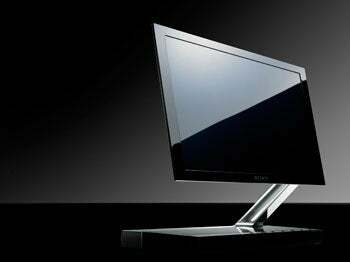 The company says that the final products price will be able to compete with LCDs.